There are fewer things I enjoy more than brunch. Harry Potter, Leonardo DiCaprio, getting into clean sheets with freshly shaved legs. 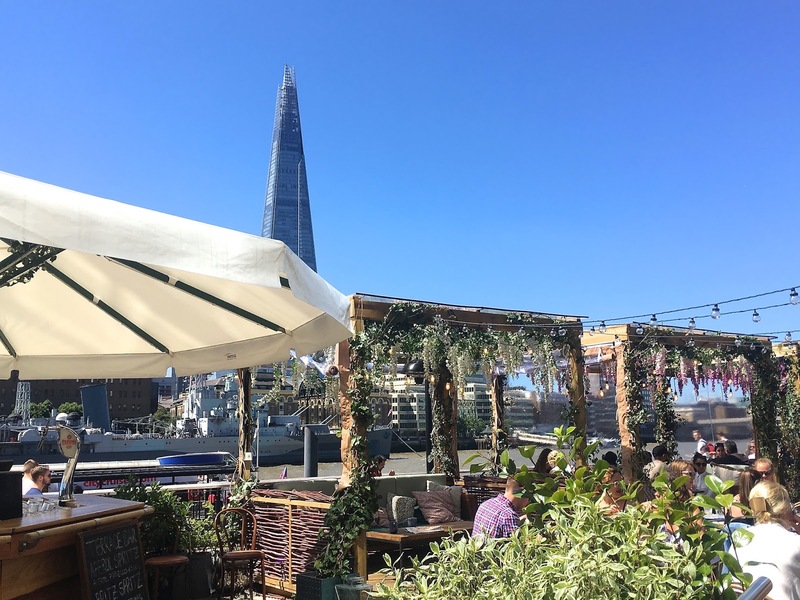 But towering above them all, is brunch, sunny weather, and great company. And this Sunday, I happened upon all three. 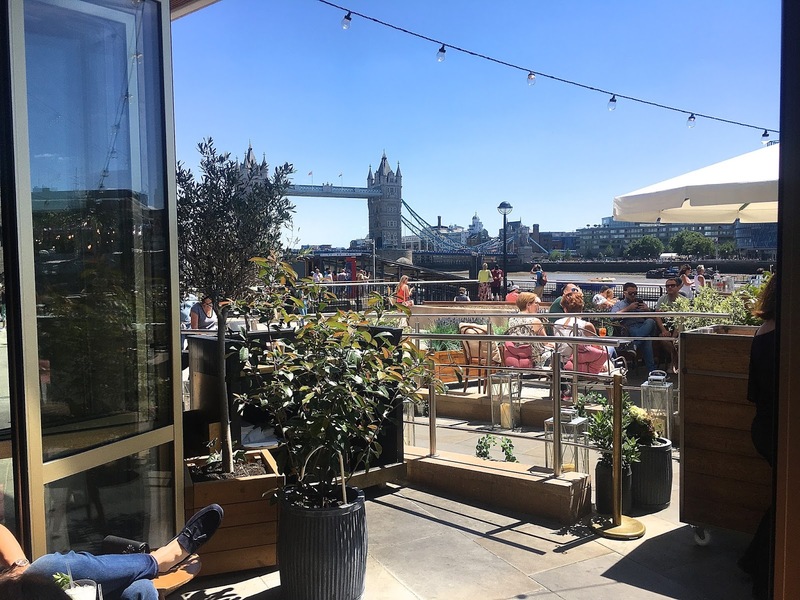 Sat on the bank of the River Thames, just a stones throw from the Tower of London, sits Coppa Club. Walking up to it, I think I'm probably forgiven for thinking it must be a private members club. 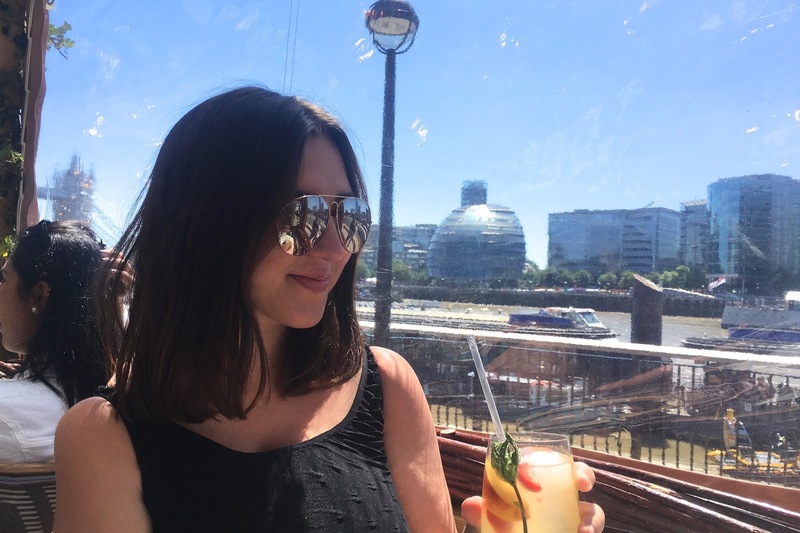 But the atmosphere was alive with girl friends brunching over cocktails and couples laughing at each other over their eggs benedict. 'Less is more' was definitely the unspoken rule. It was the kind of place everyone looks effortlessly thrown together, and trainers are styled to look straight off a catwalk. 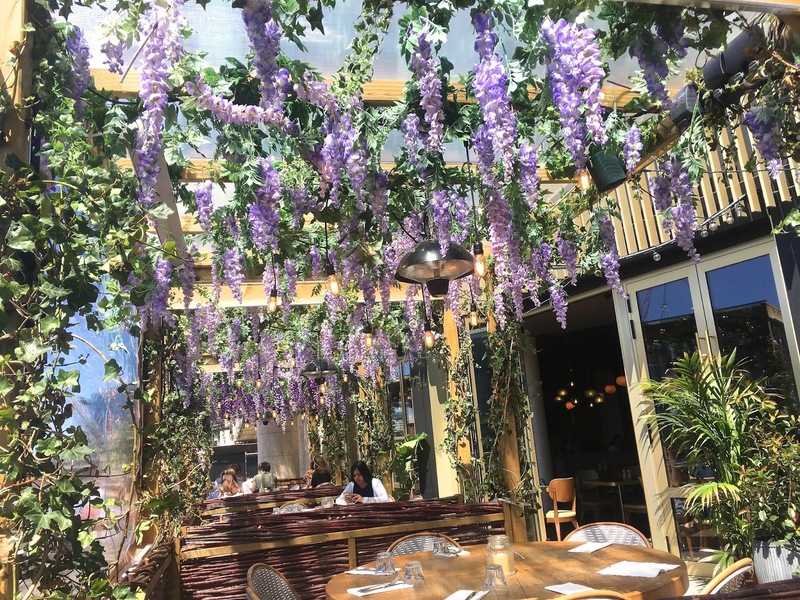 We were shown to our table, and had managed to secure one in a 'booth', one of the individual wooden terraces sat on the waterfront, with lavender falling from its roof and flowers wrapped around its structure. It took a while, but eventually we were able to tear ourselves away from the surroundings to take in the menu. We were there to eat. 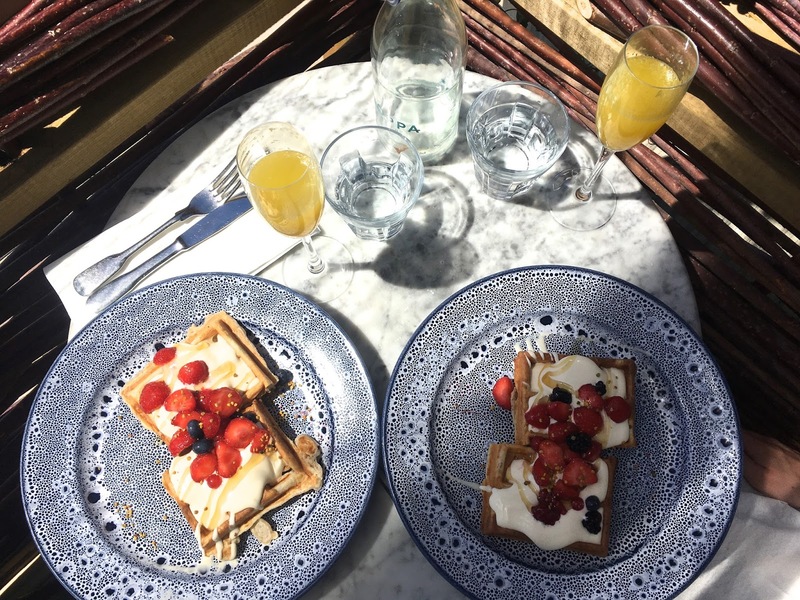 We both went for their Summer Berry Waffles... ripe strawberries, raspberries and blueberries on a bed of crème fraîche (and by that, they literally mean fresh cream) smothered with honey. To help swallow it down, we ordered mimosas. 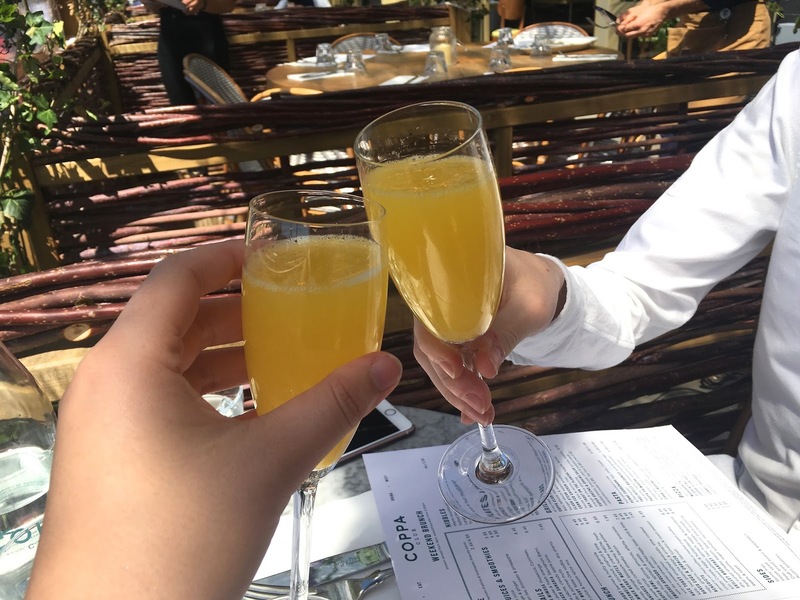 With the sun shining and a flexible day-plan ahead of us, we thought it would be rude to not order some more drinks... this time both of us going for the Peach Sangria. It was hard to believe there was any alcohol in it, which could have proved lethal, however we managed to limit ourselves to just one each. Due to the beautiful weather, we were extremely lucky to be sitting outside. However, the windows and doors disappear in the sun, so no matter where you're sitting, you're flooded with natural sunlight. 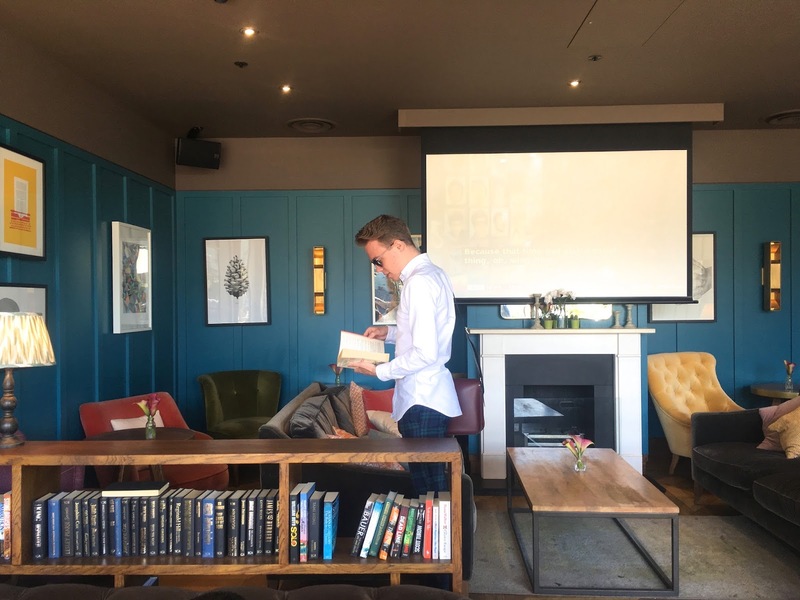 Why not pick up a book and cosy down onto one of the many armchairs? 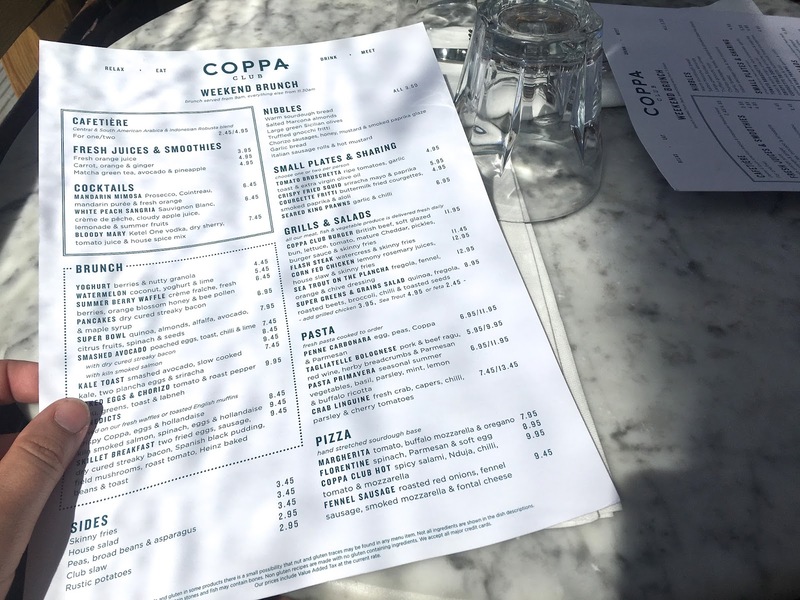 I've already scheduled in my next booking for Coppa Club - it is very popular so make sure to book! 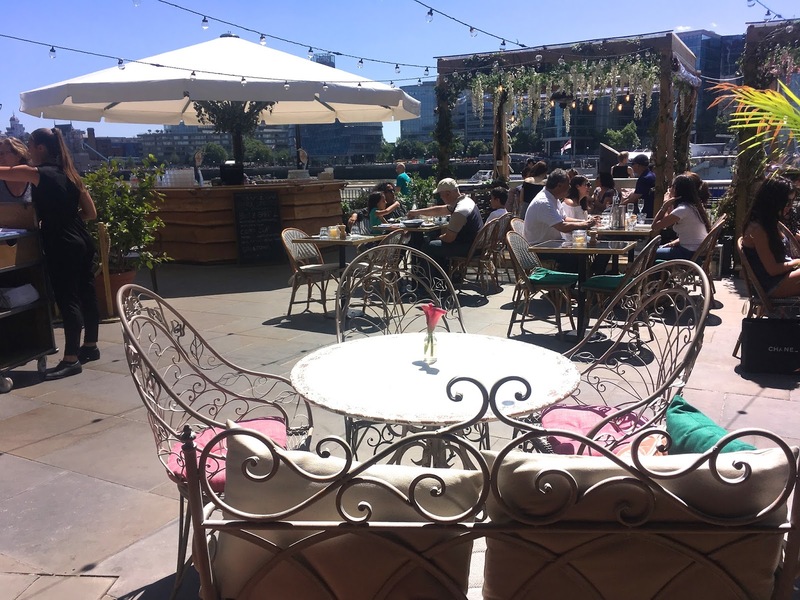 Thank you so much to Ryan for organising this as my birthday treat, I was ridiculously spoilt AND found my new favourite brunch place - what a dream! 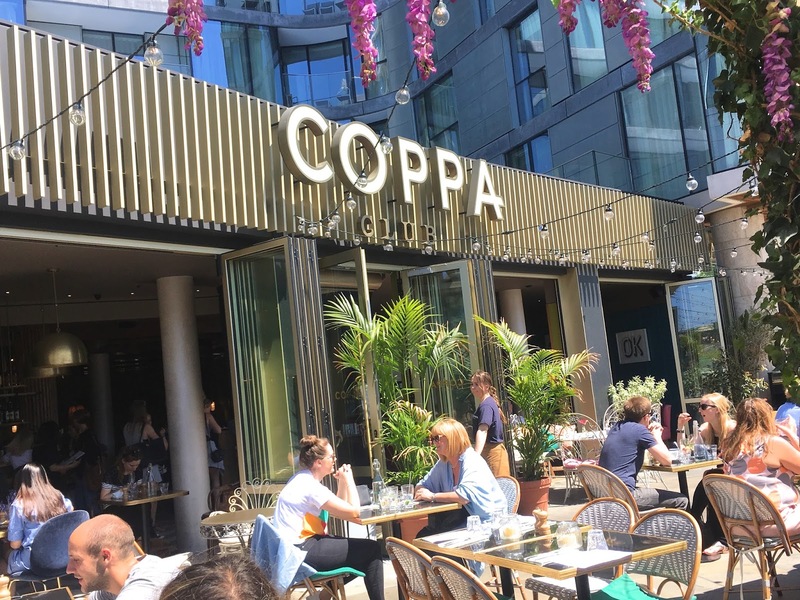 Sunday Brunch at Coppa Club!! That sounds so fun and I am sure all that food that was served to you was epic. I am craving on all of these food items. At a beachside event space NYC I also would be hosting my birthday brunch and feeling so excited about it because will meet my cousins after a long time.